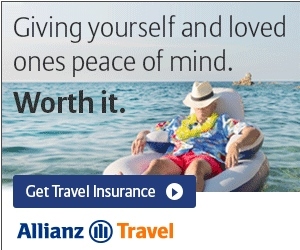 ALERT: Delta 20,000 MQMs Florida – Alaska – Hawaii under $800 all-in! This one is a bit crazy (even for me). With the usual HT to C&T from FlyerTalk, and another HT to ME for the other, you can string together a crazy set of one way fares. 1 – Fly MCO to ANC one way. Spend a day or two in Alaska? 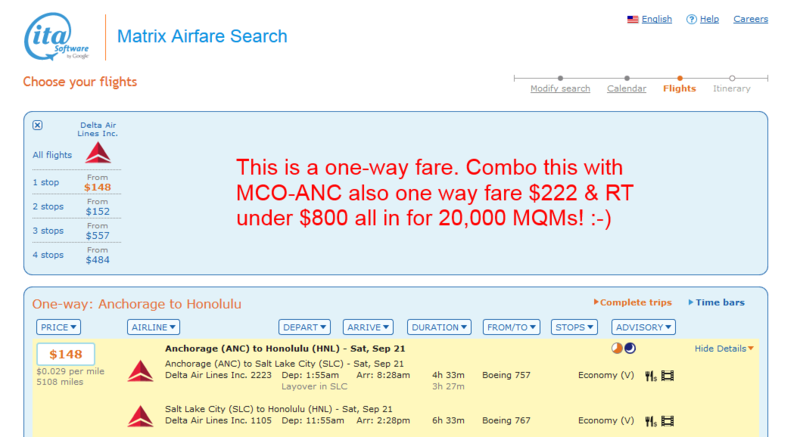 2 – Fly ANC to HNL via SLC one way. Spend a day or more in Hawaii? 3 – Fly back home the reverse way. ← There are days I just LOVE being a Delta blogger! I did not know about those switches for ITA. Fascinating. @Joseph – click on the little ? mark and you will see more. Rene, there are actually more switches than the “?” lists, but you have to do some searching to find them. As usual, most of the answers are somewhere on Flyertalk.